As part of Florida’s Paradise Coast, over 1.8 million tourists visit the region each year. Tourism is largely seasonal with the city experiencing extreme spikes in the number of cars on the road during the winter months. Tourists that are unfamiliar with the roads in Naples, as well as driver negligence and distractions, contribute to automobile accidents in the area. If you have been the victim of a car crash, contact the Naples motor vehicle accident attorneys at the Wolfson Law Firm. Victims often have questions about how to receive and pay for medical treatment and repairing their damaged cars. They may also have questions about long-term recovery and future care. As an accident victim, you have rights. But all too often, people find themselves in a horrible situation after a sudden and unexpected accident that happened through no fault of themselves. In those situations, you need answers and you need help. If you have questions about your accident and would like to speak to our Naples motor vehicle accident attorneys, contact the Wolfson Law Firm at 239-777-9954 for a free consultation. Why Contact a Naples Motor Vehicle Accident Lawyer? 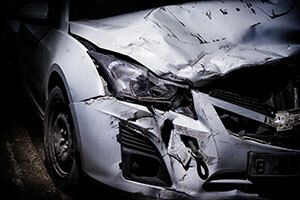 What are the most common injuries in a Naples car accident? Car accidents can result in injuries to drivers and their passengers. Injuries may be physical whereby the victim hits the interior of the car, such as a window, a steering wheel, or the dashboard, as a result of the impact. They may also be injured by objects flying around in the car, such as broken glass or items laying on seat, or they may be hurt from the impact of safety devices, such as airbags. The impact of a crash also causes the body to move in ways that cause injury. Quick movements that jerk the neck back and forth, such as in a rear-end accident, can cause an injury known as whiplash. Other injuries that can occur include torn or strained muscles in the wrist, back, and neck. It is important to seek medical attention whenever you are in a car accident. Injuries that appear relatively minor can cause great damage and pain if left untreated. The Wolfson Law Firm proudly serves residents in Naples and the surrounding communities of Marco Island, Everglades City, Golden Gate, and Immokalee. If you or your loved one has been the victim of a car accident, contact the Naples motor vehicle accident attorneys at the Wolfson Law Firm at 239-777-9954 for help.